The cool cats over at VML and RW2productions asked us to supplement a live action video (directed by Kevin Showengerdt) with stop-motion. The project was a blast to work on! At the bottom of the page there is a link where you can watch the finished product. First come the style boards. These were important because we were going to mix live action and stop-motion together, so planning was extremely important so the shots would line up. Below you can see a little bit of our animation process. We divided the animation into two so that we could each focus on a couple of things. Here is the raw animation for this shot. In post we added some slight lighting effects, a faster zoom into the submarine window, and of course painted out the black rod that held the submarine. Check out those little sea anemones that pop out in the foreground when the camera gets too close! Our two basic shots were the above establishing shot of the submarine and the whale talking. 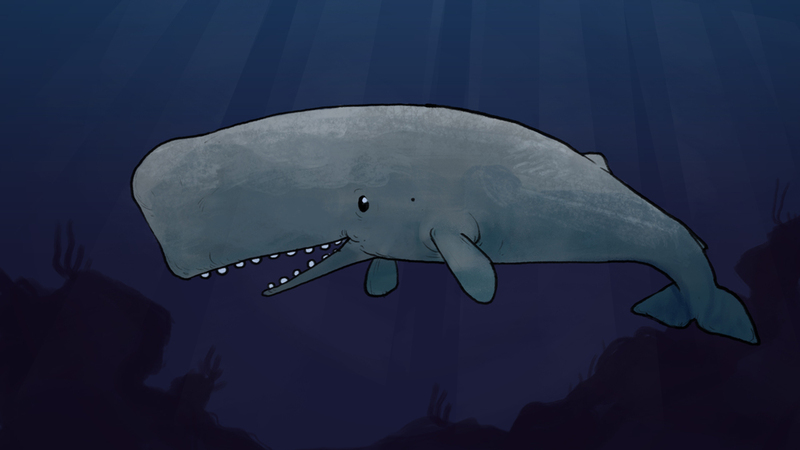 Here is the raw animation for the whale, with all the rigging still present. I always like seeing the raw footage, so I imagine you do to! Thats it, until next time! Check out the finished video here.